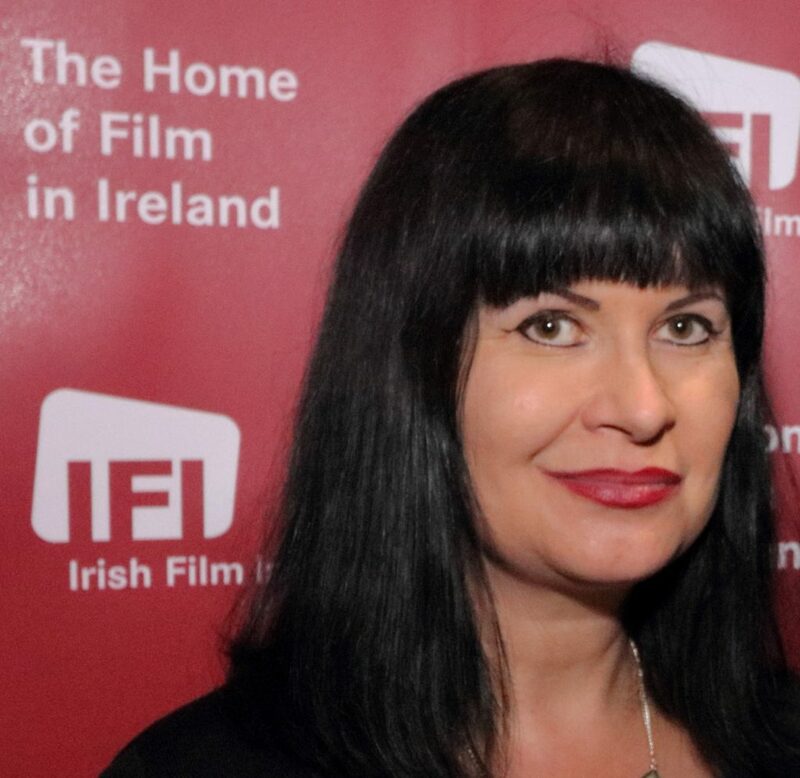 Since 2000 I’ve been head of the IFI Irish Film Archive, which is part of the Irish Film Institute, Ireland’s cultural institution for Film. www.ifi.ie. The Archive is custodian of Ireland’s national moving image collection, a unique cultural and historical resource reflecting indigenous film production from 1897 to the present day. We preserve a wide range of moving image types, including newsreels, feature films, animations, home movies and documentaries. In addition to the work of such luminaries as John Boorman, Neil Jordan and Jim Sheridan we hold films made within local communities by amateur filmmakers. Our collections are a record of the last century’s most important social, political and historical events; making these images available to the Irish public enables us to collectively connect with our past and enriches our understanding of this pivotal period in Irish history. My job is to devise our strategy, oversee the development and implementation of policies and procedures and to secure funding to ensure we can continue to develop. I followed a fairly circuitous route, which I think shows how difficult it is to know what career you want when in school. I had always intended a career in fashion and studied it for 4 years in NCAD before realising I didn’t like the business side. A brief detour into media studies led to a work placement at the National Museum of Ireland, where I became aware that archiving was a profession. I ended up staying in the Museum for 5 years working in the conservation department, during that time I completed a part-time MA in Museum Studies from Leicester University. There was a public service recruitment embargo then, so my chances of a permanent job were restricted and I decided to get a post grad qualification in Archiving from UCD. This led me to a brief stint managing a digitisation project in the National Archives, during which time I applied for, and was offered my current role. It’s very rewarding to know that I am helping to protect and share our national memory. The collections in the Archive are endlessly fascinating, the material we safe-guard is such a vivid and tangible document of Ireland’s past and really shows the development of modern Ireland at a time of unprecedented change. After all these years I’m still excited by the content of our collections and eager to make them as widely available as possible which is why developing the IFI Player has been such a rewarding experience www.ifiplayer.ie. Another bonus is that I work with an amazing team, who are dedicated and fearlessly take on every challenge they encounter. I can honestly say the commitment and enthusiasm of the archive team is one of the things I enjoy most about my job. I think that moving image preservation is unfortunately not as high up the cultural agenda as it should be and funding is always an issue within the arts in Ireland. Approximately 70% of the Irish Film Institute’s revenue is self-generated with the remainder coming from grants, sponsorship and our commercial activities; the Irish Arts Council is our main funder. As is common in many cultural institutions the Archive has been under-staffed and under-resourced for much of its existence. However, despite these difficulties the Archive has been fortunate to have an energetic and highly experienced staff that ensure the resources available to them are effectively employed and we have been able to achieve a lot with small budgets. One of the biggest challenges we have faced in recent years has been the move from analogue to digital production and distribution. Restricted budgets, the rapid change in digital technologies and the increasing speed of format obsolescence have exacerbated the scale of the challenge but we have made great strides in this area even considering our limited resources. In recent years we have undertaken a major digital infrastructure upgrade project which radically changed our ability to collect, preserve and make accessible the digital collections which we are acquiring in ever increasing quantities. We also published our Digital Preservation and Access Strategy http://www.ifi.ie/wp-content/uploads/DPAS-V.2.pdf which has been very well received internationally, and it continues to be a roadmap for our digital development. This shift within the industry to digital has not only required the acquisition of new technological solutions, but staff have also been obliged to develop new skills and new ways of thinking about collections management and access. Securing funding to enable us to continue to protect our digital collections will be an ongoing challenge for the IFI as an organisation, but it is vital to ensure Ireland’s national moving image heritage is protected and available for future generations. I’m involved in greyhound rescue, so I spend a lot of time with the dogs! I also like to sew so my fashion degree didn’t go to waste. I love music so go to gig’s regularly and I also occasionally DJ in a great venue pub called the Thomas House in Dublin. Apart from having the “archive gene” I think you need to be methodical, organised in order to understand the huge variety of systems and standards we have to devise and implement; you also need to be optimistic and really believe you can make a difference, as seeking funding within the cultural sector can be very disheartening; you also need to be determined, and patient, as it often takes a long time to get things done in the arts! Some of the projects I have been working on since I started in the role are only coming to fruition now. Volunteer in an Archive for a few months to make sure you understand the profession you are going into. The outside perception of what happens in an archive and the reality are often very different. We’ve had interns over the years from history backgrounds who have been frustrated by the more mundane, repetitive aspects of the job, like cataloguing or checking the condition of holdings. They think that they will spend their days delving into boxes or film cans discovering wonderful treasures, while that does happen from time to time, most of the job is more ordinary than that and requires rigorous attention to detail and adherence to very carefully thought out collections management policies and procedures. Volunteer! As I mentioned above I’m a great believer in using work placements to gain experience and a realistic understanding of the profession you are interested in, particularly if it requires years of study. I spent 5 years in Art college and then realised I didn’t like the fashion industry. The other good piece of advice I was given is to collaborate, we work collaboratively with other organisations and that certainly pays dividends in terms of sharing resources and expertise. There are so many! Two moments that were particularly memorable come to mind. Brendan Bowyer coming in for a screening of the Royal Showband documentary The One Nighters and singing three songs to a backing track in cinema 1, the crowds were literally dancing in the aisles that night ! The other was the sight of Daniel Day Lewis coming in on his motorbike for a screening of My Left Foot as part of a Neil Jordan retrospective. He and co-star Hugh O’Connor were greeting each other and catching up in the lobby of the Archive building, as very star struck Archive staff were leaving for the evening. In terms of projects the Irish Adverts Project was definitely a highlight http://ifiplayer.ie/adverts/. This was an 18 month project funded by the Broadcasting Authority of Ireland where we conserved, catalogued and digitised thousands of adverts made for Irish TV in the 1960, 70s and 80s. It really caught the public’s imagination and received a great deal of media interest, including a feature on the Late Late Show. Finishing my PhD I hope! I’m currently undertaking part-time PhD research in DCU on the area of film archiving and the development of policy and provision in Ireland compared to the rest of the world. We have a very different relationship to our moving image heritage than other western countries and I’m examining why that is and how we might improve the situation. It’s an area that hasn’t been really looked at before, so who knows I may look at turning my research into a book!